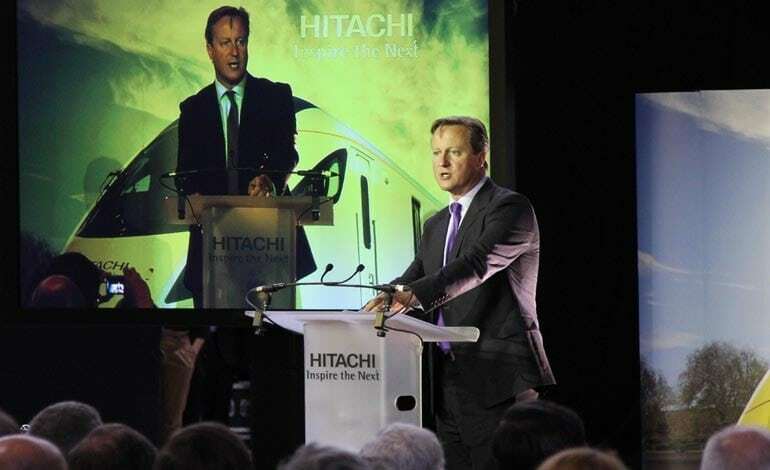 David Cameron insists there’s enough support and investment to make sure Hitachi’s new factory in Newton Aycliffe doesn’t go the same way as Fujitsu 20 years ago. The once famous Fujitsu factory was opened by the Queen in 1991, following an enormous £340m investment by the Japanese firm. 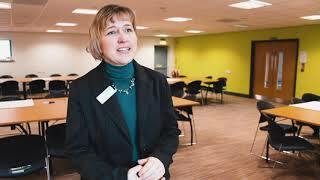 But after propping up the Aycliffe operation to the tune of £1m a month for over a year, it eventually closed in 1998 with the loss of 600 jobs. Mr Cameron visited Aycliffe Business Park for the official opening ceremony of Hitachi’s £82m train-assembly factory on Thursday. Aycliffe Today editor Martin Walker asked the Prime Minister what he’d say to the pessimists out there who fear a repeat of the Fujitsu failure. He told us: “Firstly I’d say it’s great that Hitachi has chosen Newton Aycliffe for this massive investment. “Secondly I’d say there’s a big infrastructure and plan in the UK, whether it’s cross-rail, HS2, our electrification programme… we are investing heavily in rail, and that’s going to create customers for trains. “We’re also going to do what we can for this company and other companies export around Europe and build trains for other railway lines. Walker then asked Cameron if staying in the EU is an important part of that. The PM replied: “I think the right answer is to get the deal we need to recommend to the British public that we stay in on better, amended terms. We’ll bring more news, pictures and video footage of today’s ceremony later today and Friday.